Badging can be a powerful pedagogical tool for learning and assessment in the classroom. My Communication Technology courses for Grade 10 to 12 students seemed to be a good fit as students developed their skills using Adobe and other creative digital tools. I must confess to always feeling slightly uneasy giving numerical grades on student work and creativity despite rubrics, checklists and anecdotal notes. Perhaps badging provides an additional “alternative” tool that seems more in line with encouraging play, risk-taking and perhaps true innovation. As students completed activities, they received badges (usually up to three per unit) to indicate their progress along with a completed rubric, feedback and the numerical mark or level. However, usually I issued them at strategic moments in the course. One strategy I employed was to issue a badge promptly on a specific due date. This gave me the opportunity to positively highlight a student’s hard work and progress at a specific milestone. In a one to one conversation, I also offered them a physical badge and encouragement for their progress. (Almost 100% accepted them and almost all stuck them on their tablet.) Implicit in this teaching moment is a subtle message to who have yet to submit their work and have not yet earned their badge. 😉 Many students yet to submit then approached me with a timetable to complete and I could then offer help and support if and when needed. In short, badging shifted the conversation to be more proactive and positive as students are recognized for meeting the deadline and expectations rather than gaining attention in class settings for missing a deadline or check-in. Both research and practice find that using the badge as a motivator is problematic as it is appealing to some students and could actually have the opposite effect as the worth of the badge is dismissed. Therefore, I explained that the badge was simply an indicator of their progress for themselves and perhaps for their peers. My practice was to offer the badge positively when students completed a particular or milestone. I would focus my conversation on their work, progress and creativity rather using the badge as a motivator. I decided to use OneNote and particularly the OneNote Class Notebook as a place shared only between the student and myself for students to collect and share their virtual/digital badges. I offered these digital badges to students and they could be earned and issued anytime throughout the course. I housed these badges in a student’s OneNote which was shared between themselves and me only. Students were the “issuer” of this digital badge but I could check that they met the criteria through our conversations and their progress in their OneNote Class Notebook. I liked this non-linear approach to the course, as very little management was needed from me yet the drawback was that my (naturally busy) students would often de-emphasize these accomplishments as a priority when compared to their projects especially during the “crunch time” as tests and assignments became more numerous from a multitude of courses. 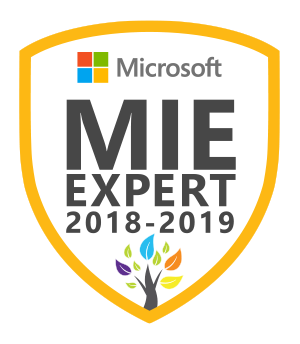 Finally, I did offer the opportunity for students to create their own virtual badges which is important as they had great ideas in the integration of new technologies. I will continue and refine these practices so that students help co-create the course experience with me. I used the avery.ca site to link perfectly with the product number for easy printing. I encouraged students to collaborate with their peers inside and outside the course with their “tech superpowers”. I shared a potential situation where a student not in the course would notice the Photoshop, Premiere (or other) badge on their tablet and then strike up conversation or potentially a collaboration for a school based or non-school based activity. This could be the start of a wonderful collaboration (and perhaps even a start-up) between with the badge as the conversation starter. I added a question to my outgoing survey for students about badging to get their feedback. Thanks for visiting and I look forward to further discussions and chats on Twitter and specifically at #badgechatk12. How can digital badging aid learning? Showcasing the progress of a learner over a specific time is probably a teacher’s greatest joy. (Ok, let’s not forget parents or even accompaniment providers.!). As children grow up, those around them see this growth and speculate over the circumstances that brought it about. “These circumstances” might be defined as curriculum and if the experience for children and older learners is designed with purpose, can impact a learner’s journey in powerful ways. Now imagine you can have a record of this progress. The promise of today’s technology is that we can now design a portfolio of individual learning (in multiple mediums and media) over a short, long, wide, or narrow timeframes among many other permutations. This individualized “container” can serve as an incrementally authentic document that demonstrates curricular expectations with more depth and understanding of learning than our current modes (i.e. report cards, teacher-parents interview etc.) Individually, fragments of learning have always been available for review but portfolios allow designers to curate a collection of learning perhaps by theme, subject, age etc. Designers should probably be the learners themselves but educators and curriculum developers could purposely collect on a learner’s behalf. This post will analysis the potential of digital portfolios to showcase a learner’s progress following a specific curriculum through the lens of change theory, curriculum theory, and other learning theories. The focus will primarily be on the impact upon the student-teacher relationship but when appropriate analysis could be extended to a learner-accompaniment provider scenario. A digital portfolio is a container of documents, files, pictures, media, conversations that record a learner’s progress against a specific curriculum or express an individual’s life-long journey. Curriculum designers and educators have a unique opportunity today to set up structures for learners in their care to collect and create a digital record of their progress in a specific curriculum with the potential and likely longer “shelf life” than a physical portfolio. “It is imperative (today) students be able to curate, archive and expand on the work they are producing in class. As an added bonus, student digital portfolios help students authentically learn important digital citizenship lessons. 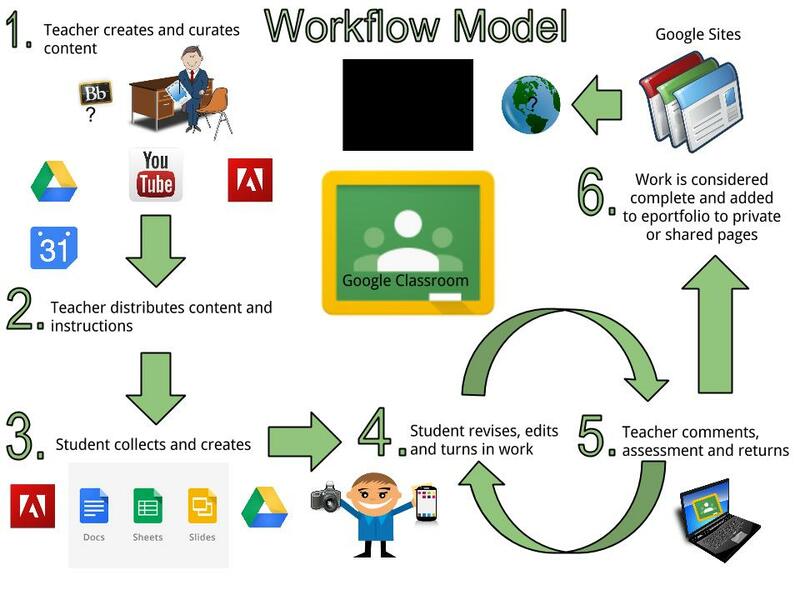 Portfolios also allow students to internalize vital digital literacy skills such as creating their own digital web presence and learning to effectively and purposefully share their learning with the world.” (Clark, 2014) Curriculum developer can leverage this opportunity to encourage dialogue, reflection and a potentially wider audience to showcase learner beyond the traditional student to teacher sharing. What different types of digital portfolios are available? Clark divides portfolios into three types: process where learners are asked to create a product and use the document to reflect, showcase, which highlights a learner’s best work and a hybrid model which presents both the showcase pieces and steps made to get to the final product. The emphasis on reflection in both the process and hybrid model are critical as learners can be encouraged to take a reflective stance as Lafortune suggests and educators have more insight in a learner’s Zone of Proximal Development by Vygotsky. Choices for a container will have an impact on the nature of a portfolio but they are a few characteristics that are vital. A portfolio should include versatility, compatible with multiple media especially images, videos and sounds recordings and finally, easily sharable with others. Best practice would also include the option to have different degrees of sharing (i.e. with one individual, within a learning community, public etc.) and to toggle sharing on and off when work. Google Sites and Voice Thread and other web based tools offer these options to collect, share and comment upon in manner that support dialogical learning encouraged in the works of Freire and Lafortune. “Portfolios give students a chance to develop metacognition, set goals and internalize what “good work” looks like. Blogs offer a platform for creativity, communication, connection and the practice of digital citizenship. “Blog-folios” are the best of both worlds- using a blogging platform to develop writing skills, provide opportunities to connect with an authentic audience and increase reflective practices.” (Hernandez, blog) This last model is focused on a reflective stance and students can use their blog to celebrate their achievements and most importantly, their change of thinking as a result of a specific curriculum. Who should collect and curate the digital portfolio? To keep a portfolio as authentic as possible, it should be curated by the learner themselves engaged in a particular curriculum. This document can reflect how a learner’s “concept of the self” (Lafortune, p.62) as that changes throughout the course of study. This will encourage dialogue between the educator and learner to aid the next steps for learners in their ZPD and also allows educators to adapt to a learner’s emotional state and their affective domain. Students in the action of creating their portfolio must shift from a passive state to an active one as they are creating his or her understanding of the new material. In doing, change is encouraged. The act of collecting a portfolio demonstrates a shift from a theory in use to a theory in action as Fullan outlines in his change theory. Furthermore, the opportunity for follow up through dialogue and commenting in portfolios spurs change and development of new ideas and synthesis. When implementing digital portfolios, prominence must given to a student’s unique and authentic voice that reflects their multicultural background, gender perspective, social class among many other unique factors. In other words, digital portfolios if supported by the educator or accompaniment provider, could allow for a greater expression of a learner’s cultural background and result in higher esteem and as Sleeter suggests “be fair and broad enough to actually capture what children know and can do.” (Sleeter, p. 125) Also if curriculum designers allow learners to express their perspective, then their journey to self-actualization as Maslow suggests is encouraged. In fact, accompaniment providers and educators have a unique opportunity to capture learners in the act of “peak experiences” in learning. If and when, these peak experiences occur, they might also be added to a portfolio as a record of a learner experiencing change and hopefully much success too! Most important is the idea that a class set of digital portfolios should never be the same, like recipes for example. but instead reflect the uniqueness of the individual and if possible, be an expression of self-actualization and, fingers crossed, the internal curriculum not accessible without it. From a curriculum designer’s perspective, referencing both a curriculum map and the most recent student-created portfolios would be informative for future planning and course delivery. Portfolios potentially reflect a learner’s perception of the curriculum. This access to the internal curriculum of the student could be very useful for educators and curriculum designers reflecting upon their pedagogical choices and use as feedback for future students. Educators can also use this document to initiate dialogue on a learner’s conception of the curriculum and if necessary, address misconceptions of the curriculum. Acting in a socio-constructivist manner, the educator or accompaniment provider can help learners apply ideas from a curriculum working beyond and through conflict to demonstrate change. This change can be recorded in a variety of formats using portfolios. Whether one uses a “before’ and “after” format (perhaps as graphics or screenshots) or records change in more of a gradual (perhaps blogging or narrative) manner, portfolios offer a unique opportunity to record a snapshot of change occurring. Fuller’s Concerns Based Adoption Model with three stages of concern could provide an excellent format for a blog or portfolio. Rarely, are students given the choice in curriculum and so this opportunity to voice their likes and dislikes (traditionally afforded to teacher) may not be appropriate to students. However, some degree of student choice and an emphasis on how new ways of thinking and knowledge impact a student’s view of the world is definitely worthy of representation in a blog or portfolio. A web-based format for sharing digital portfolios has many benefits. As prior mentioned, options to toggle the degree of sharing a learner’s progress outwards from the individual to a trusted individual, internally to completely public is an excellent opportunity. Digital Badging complements portfolios as another tools to aid curricular goals and encourage students to record their progress completing tasks for a specific curriculum or towards an individualized curriculum. The web-based nature of digital portfolios also allows learners the opportunity to showcase skills and projects created outside the classroom and specific tasks (The concomitant curriculum). Finally, portfolios are perfect for student led conference and could be done F2F or virtual. Speaking personally, I find that being asked to share my learning in presentation format or sharing with others forces me to engage and explore my learning in greater depth. In fact, curriculum designers and educators might showcase their ability to lead their students through a specific curriculum in their own teaching digital portfolio. Digital portfolios can be an excellent expression of sound pedagogy and demonstrate a reconceptualized curriculum ignored in traditional curriculum based on products only. Learner must adopt a reflective stance especially when asked to blog or share a progression of learning (assessment AS learning) through a variety of mediums. They can be a powerful expression of an individual’s creativity, background, culture, heritage, perspective and most importantly provide a glimpse of learner’s internal curriculum and unique voice. More specifically, this intentional act of phenomenology by learners is applied directly to the curriculum as an expression of them undergoing changes. Educators and accompaniment providers have a unique opportunity to celebrate this individuality, and in terms of curriculum goals, identify misconceptions, engage in productive dialogue and suggest next steps in a learner’s Zone of Proximal Development. At its highest level, digital portfolios could be an expression of an individual in the act of “peak experience” as triggered by specific curriculum. For curriculum designers, accompaniment providers and educators, authentic portfolios provide insight into the individual who just “finished” the curriculum but also to the individual just “starting” the unit of study. What a powerful tool for change agents. Fullan, M. (2006, November). Change Theory: A force for school improvement. Centre for strategic education, 157. Lafortune, L. (2009). Professional competencies for accompanying change: A frame of reference. Quebec, Canada: Presses de l’Universite du Quebec.